Millennials have been accused of lots of dumb stuff by the bitter Boomers who raised them but what there are some things Millenials are genuinely putting off like getting married, buying homes and having children. Not all of this is down to economic anxiety. Some people are simply waking up to the fact that the so-called American dream of getting married, owning a home, and having kids isn’t all that it’s cracked up to be. Women are better educated and can have careers that give them the economic power to delay or opt out of these traditional choices. But economics certainly comes into it, and a significant factor in these delays is student loan debt. It’s not even feasible to daydream about things like buying a house or even moving into an apartment without a roommate or two when you’re paying $393 a month toward your student loan debt. People are delaying investing too due to fear or anxiety or both. But it’s going to be very hard to retire without investing. You can see how much of the work investing and compounding interest does for you with this calculator. I played with some simple numbers and here’s what I found. An initial amount of $1,000 goes into a savings account and an additional $200 a month is added. 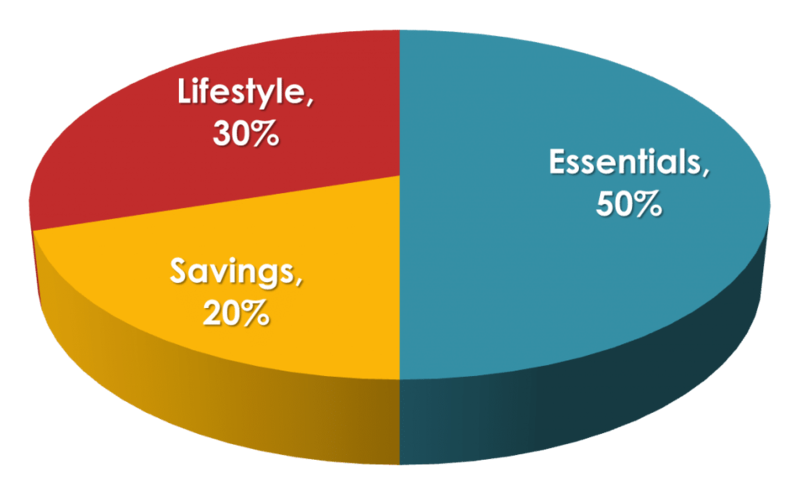 Our money earns 1% interest (which is generous, many savings accounts pay less than 1%) and we leave it for 30 years. For the second calculation, I used the same numbers except for the interest rate which I boosted up to 7%, the conservative average return you can expect over a long time horizon in the market. That is the power of investing when it comes to growing your money. Nearly 80 percent of American workers (78 percent) say they’re living paycheck to paycheck. Women are particularly vulnerable: 81 percent of them report living paycheck to paycheck, compared with 75 percent of men. Talk about anxiety. When you’re one sick day or car problem away from not being able to pay your rent, investing is the last thing on your mind. The first step to getting out of the paycheck to paycheck cycle is to figure out your cash flow. Cash flow is just another way of saying budget. You need to know how much money is coming in, how much is going out and where it’s going. You can create a free budget in Mint or Personal Capital. If you currently have investments, we recommend PC because it pulls in your investment numbers too giving you a more complete picture of your finances. If more is going out than coming in, you have to fix that and quickly. Cut spending wherever you can and start using your spare time to make more money. Once you have righted the cash flow ship, determine your investing goals, short, medium, and long term. This will determine if, when, and where you should be investing and how much risk you can take. Do I Invest or Pay Down Debt? We get this question a lot via listener emails. The first question is what kind of debt? If it’s high-interest debt like credit cards or lawd forbid, payday loan debt, that has to be the priority. Credit card interest is in the high teens, and payday loan interest is a triple digit. If you have this kind of debt, the only investing you should be doing is enough to get the matching money in your 401k because that is free money. If you don’t have a 401k with matching, it’s still worthwhile to put something, maybe $50 a month into a retirement account. The compounding interest on credit card debt is working against you. Putting even a small amount of money into a retirement account means compounding interest is working for you. Apart from that, every extra penny goes to killing that debt. If the debt is relatively low interest like student loan debt, that’s a little different. How low is low? A good rule of thumb is if your interest is less than 5%, you should be investing while making the minimum monthly payment. If it’s over 5%, you should consider refinancing for a better rate. If that’s not a possibility, paying down the debt should be your priority apart from investing in a tax-advantaged retirement account like a 410k or IRA. For those of you who are self-employed, you have to put money aside for your quarterly taxes. Erin’s strategy (and she lives in NYC, a high COL city) she sets aside 45% of all the money she earns for taxes. Anything left over after paying taxes goes into a SEP IRA. For those in lower COL areas, she recommends saving 30% and eventually boosting that up to 35% and then 40% and investing the remainder in a SEP IRA. Those who feel anxious about investing will often turn to micro investing apps like Acorns. It means you’re doing something. And doing something is better than doing nothing. Unless fees. To make micro investing worthwhile, you have to have enough invested that the fees make that investment worthwhile. That number is a minimum of $25 per month, but boosting it up to $50 a month is even better. If you have healthy anxiety over fees (and you should), you might consider investing through a roboadvisor like Betterment. But you might have “investing language” anxiety. Why use a roboadvisor when you can use a full-service brokerage? You don’t want a robot picking your investments. You want a person in a suit and fancy office. That’s part of the problem with investing language. Another name for a roboadvisor could be a discount brokerage. Wait, discount anything kind of sounds dodgy. How is that better? While roboadvisors do use things like algorithms to choose investments, the vast majority of the time, they can beat humans hand selecting investments. And there are humans involved. It’s not like HAL from 2001: A Space Odyssey. But using roboadvisors will save you thousands of dollars of fees over time compared to using a full-service brokerage. If you’re still feeling investing anxiety, let history ease your mind. From the Great Depression to the 1987 crash to the Dot Com bubble to the Great Recession, the market always bounces back. Recession and growth cycles are a natural part of the economy. Bad news gets attention and media outlets make money through our attention. They don’t make money reporting reassuring news. They make money with THE SKY IS FALLING headlines. But are things really that bad? Not usually. A headline might scream “Worst Drop in History” which may technically be correct (not always the best kind of correct) but if the Dow is at an all-time high and drops 800 points in a single day, that may be its biggest drop, but it’s far from its most significant drop. Actually, knowing your time horizon is better than knowing your risk tolerance. Your risk tolerance may be 0 in which case; you’re never going to invest because there is no such thing as a 0 risk investment. If your risk tolerance is 100, you’re too willing to take the risk and might hand over your life savings for some magic beans or something. Your time horizon is a better guide to how you should be investing. Time horizons are short, medium, and long. Short: This is money you will need in under five years, money for a wedding for example. This money should either not be invested or invested in a low-risk way. Medium: This is money you’ll need in five to ten years, like money for a downpayment on a home. You can take a little more risk with this money, perhaps setting your allocation at 50/50 or 60/40 stocks to bonds. Long: This is money you’ll need in ten years or more, traditionally retirement money. 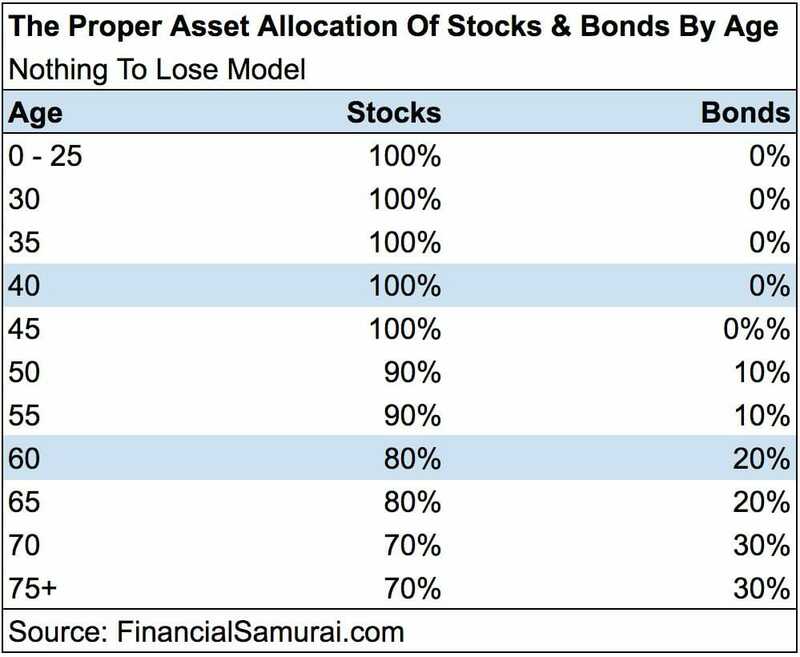 This is your “high risk” money and can be invested more heavily in stocks than bonds, changing the allocation every ten years or so. We rarely make good decisions when those decisions are based on emotion, and few things are as emotional as money. Whether that means pulling money out of your Betterment account to go on a shopping spree or selling off investments during a downturn because you read a scary headline. So take steps to protect yourself from yourself. Separate your bank accounts from your investment accounts, so you don’t see your investment numbers when you’re just paying bills online. Set up automatic contributions to your investment accounts so investing happens with or without you. You should also take the “Nah nah nah, I can’t hear you,” approach and just don’t look. Set up your portfolio based on your time horizon and ignore it. You don’t need that money anytime soon, so it doesn’t matter what it’s doing day to day. If you do need to make a decision and move money around, wait a day before pulling the trigger. This gives you a little time to consider your decision, so you’re making the right one. We can be anxious about lots of things; a job interview, a first date, meeting your SO’s family for the first time, going to the doctor. But you have to do those things, they’re part of life and generally have good consequences (well maybe not meeting the in-laws). You can’t sit in your bedroom with a blanket over your head for your whole life. Investing is no different. It’s okay to be anxious about it, but it’s not okay to opt out. So pull off the blanket and start investing. The post Investing In The Age Of Anxiety appeared first on Listen Money Matters.